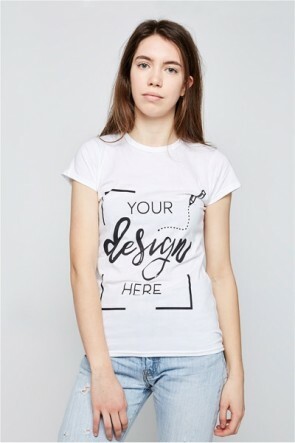 Our personalised womens t-shirts collection has been designed according to their needs and is wearable every day. With great quality fabrics, a wide range of sizes and colours, and perfectly fitting cuts, we've done everything to highlight them. Choose your type of shirt, as well as the colour and size, then you can start customising it! 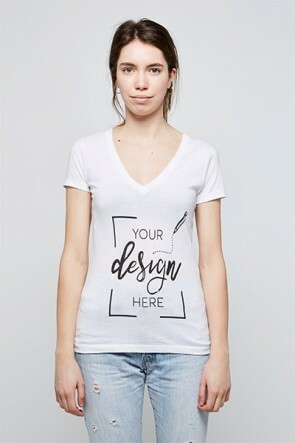 Place your favourite picture or design on your t-shirt, then place some text if you wish. You are done! Place the item in your shopping cart and proceed to checkout so we can print it and ship it to you almost immediately! Don't wait any longer. 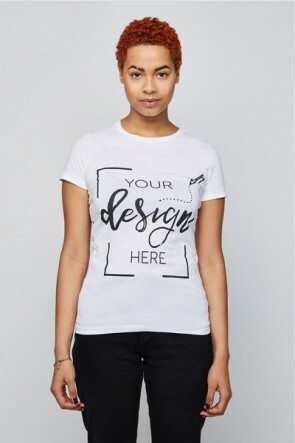 Stand out from the crowd and make your own personalised womens t-shirts now! You deserve the best quality.